Thank you for your interest in the GPT Case Study. To download just complete and submit the form. 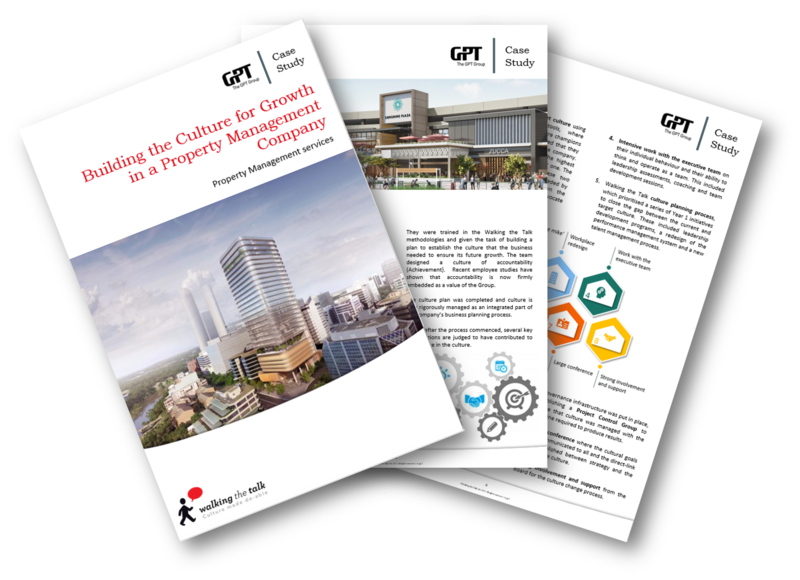 GPT is one of Australia's largest diversified listed property groups. The Group has more than 38,000 investors, is one of the top 50 stocks by market capitalisation and has $16.7 billion in assets under management and around 500 employees. The Group’s 40-year history of success was jeopardised by a loss of strategic clarity exposed by the global financial crisis. CEO Michael Cameron arrived in 2009 with a 3-stage plan: stabilise, optimise and grow. His first task was to restore investor confidence by making a series of early decisions to stablise the balance sheet.